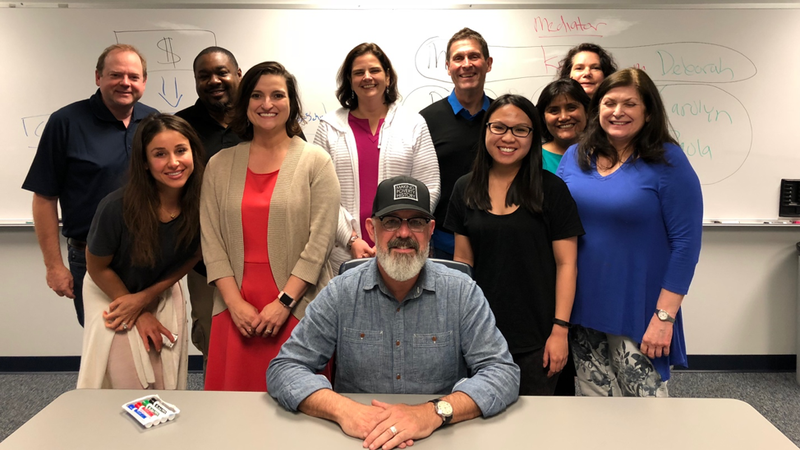 Michael Craven, president of BridgeBuilders was invited to help graduate students, in Professor John Potter’s Advanced Mediation class at Southern Methodist University, better understand the culture of poverty. The class was given a scenario in which they were called upon to mediate a conflict between the Executive Director of a large non-profit working in South Dallas and a local Community Activist. At issue were services perceived as being offered to some residents but not all. This resulted in angry neighbors and calls for justice. This is why we believe the gospel, fully conveyed and thoroughly formed in new disciples is the only real solution for alleviating poverty. The gospel offers hope and hope ignites aspirations and men and women, made in the image of God, can act on those aspirations, especially when they have help from their new brothers and sisters. Newer PostCheck Out Our New Digs!! Older PostThrough Many Trials…God’s Kingdom Comes!